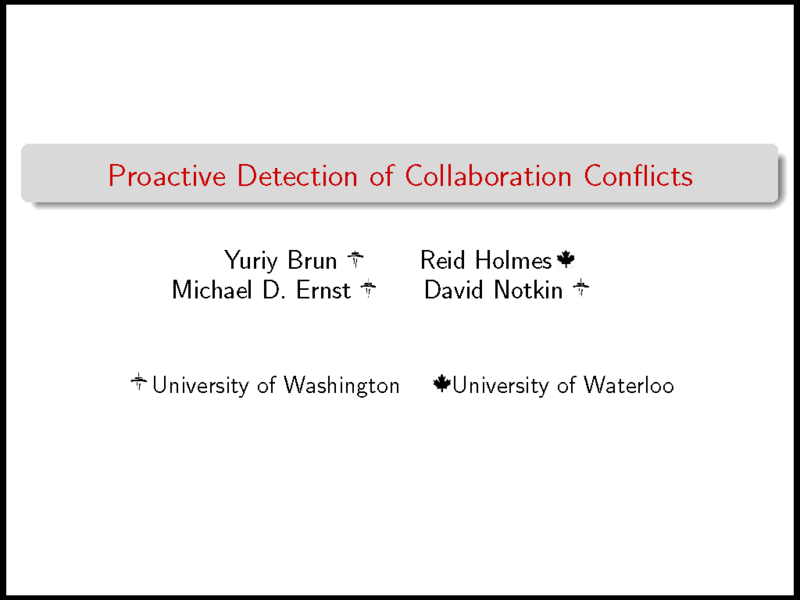 This presentation summarizes the results of “Proactive Detection of Collaboration Conflicts” presented at the ESEC-FSE 2011. If your browser does not play the video, you can download it. Download Crystal and read more at https://github.com/brunyuriy/crystalvc. You can also see the presentation slides.